It may be temporary wallpaper, but a temporary craze it is not! 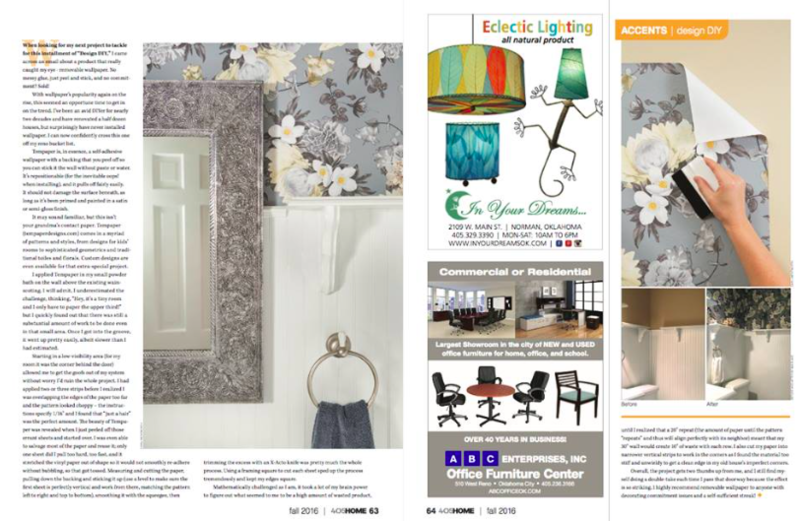 We’re thrilled to announce the feature of our client Tempaper in 405 Magazine as the ultimate home decor DIY! A self-adhesive, removable wallpaper that is 100% made in the U.S.A. and is lead-free, phthalate-free and VOC-free. Tempaper is perfect for DIY projects including but not limited to: dressers, stair risers, cabinets, bookshelves, drawers and headboards. Let your imagination be your guide when decorating with Tempaper!